As you may know, it’s hard to find raw almonds these days due to the pasteurization requirements that are now in effect. So, you can imagine my delight when I found raw almonds available from Blue Mountain Organics. According to the company’s website, the almonds are from Italy and they’re whole, raw, and organic. Completely unpasteurized. 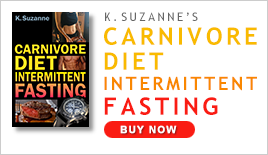 I bought a lot of them because the website offers quantity discounts. I was very happy with these almonds. The flavor is intensely almond-y. Apparently it’s due to a higher concentration of almond oil. Whatever the reason… I love them. 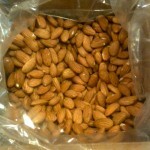 I blogged about these amazing almonds and the delicious homemade raw organic almond milk I make from them weekly. I mentioned in the post that I have a weird addiction to taking the skins off the almonds (although I never have time to so I usually don’t do it). A while later, I received an email from a reader who questioned the “rawness” of the almonds because I was able to take the skins off. Apparently, there are a couple of bloggers who have written about a raw almond “test” where if the skins are able to come off easily, they are not truly raw. “Crap.” – I thought to myself. Hmmm… what the heck… here I thought I was drinking raw almond milk and it turns out that I might not be. I decided to get some so that I could soak them and compare to the almonds I was currently using. After over 12 hours of soaking, I could not get the skins off. I boiled some water and dropped a few in for a brief period of time. Skins came off. Hmmm. If heat makes the skins come off easily, does that mean the Italian almonds aren’t really raw? I made a batch of almond milk from the Italian almonds and a batch of milk from the California almonds. They tasted a little different. The Italian almonds have a stronger almond flavor, to which I’m now accustomed, but that’s not anything a little organic almond extract can’t fix. After a night passed with the two batches in my refrigerator, I noticed that the Italian almond milk stays fairly uniform, while the California almond milk separates. Hmmm. Is this further proof of some sort as to the rawness of the California almonds over the Italian almonds? Another data point to consider. I was told about an almond buying club who gets raw almonds for people and the almonds generally do not peel easily, which leads people to believe they are in fact raw. However, I spoke with someone who is in this buying club and she said she can actually peel them quite easily. Does this mean user error or different water or different soaking times/bowls/methods… need to be considered? 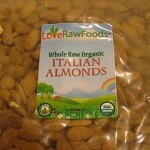 Honestly, I can’t help but believe that the Italian almonds are raw and unpasteurized. I think Blue Mountain Organics is a solid company and since the almonds aren’t from the United States, they don’t fall under the same pasteurization requirements and it makes sense that they wouldn’t be treated. Furthermore, the almonds are grown in Italy. This could mean they’re a different variety of almond altogether. They are also grown in a different climate. Doesn’t that mean that the almonds could be different and still be raw? I honestly don’t know about the validity of the almond skin “test.” I asked the gal who wrote about it and she didn’t have any scientific information backing it. She was going by her experience of using almonds for years. What is a raw gal to do?!?! Going forward, I think my plan is to buy from the California almond farm. The main reasons: 1) It supports a small farm and keeps it somewhat local for me. Perhaps when we take our road trip to California, I can visit the farm and see the processing first hand. 2) So far, my experience with them has been great. 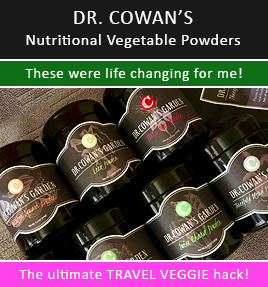 They’re very responsive with customer service and 3) The price of their raw organic almonds is super great!